Producer of the film PM Narendra Modi, Sandip Ssingh, clarifies why the makers have credited lyricist Javed Akhtar post latter claimed to have not penned down lyrics. 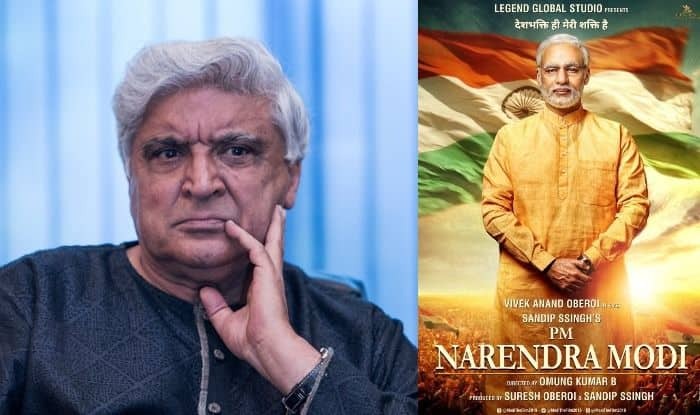 Veteran lyricist Javed Akhtar had yesterday claimed that he had not penned down any song for Omung Kumar B’s forthcoming directorial PM Narendra Modi after seeing his name in the credit list of the film. Today, one of the producers of the biopic, Sandip Ssingh, cleared the air and said that they have used old songs of Akhtar. He took to his Twitter handle to reveal that the film has two old songs of Akhtar for which they have credited the lyricist. He wrote, “T-Series being the official music partner of our film…we have taken the songs ‘Ishwar Allah’* from the film ‘1947: Earth’ and the song ‘Suno gaur se duniya walon’ from the film ‘Dus’, thus we have given the due credits to respective lyricists Javed Sahab and Sameerji”. Akhtar on Friday took to Twitter and expressed shock to see his name in the credits of the film’s trailer. “I am shocked to find my name on the poster of this film. Have not written any songs for it,” Akhtar tweeted along with the snapshot of the trailer’s video in which his name was mentioned among several other artistes in the lyrics category.